Another Steve block design bright and early in the morning. Yep, that was short lived. Steve made delicious apple pancakes and then it was time for a little family outing. 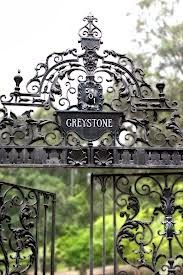 Hello beautiful Greystone Mansion in Beverly Hills. The estate was a gift from oil tycoon Edward L. Doheny to his son, Edward "Ned" Doheny, Jr., and his family. On February 16, 1929, four months after Ned Doheny, his wife Lucy and their five children moved into Greystone, Ned died in his bedroom in a murder-suicide with his secretary, Hugh Plunket. The official story indicated Plunket murdered Ned either because of a "nervous disorder" or inflamed with anger over not receiving a raise. Others point out that Ned's gun was the murder weapon and that Ned was not buried in Los Angeles' Calvary Cemetery, a Catholic cemetery, with the rest of his family, indicating that he had committed suicide. Ned's widow, Lucy, remarried and lived in the house until 1955, whereupon she sold the grounds to Paul Trousdale, who developed it into Trousdale Estates, and the mansion to Chicago industrialist Henry Crown, who rented the estate to movie studios. In 1963 Crown planned to subdivide the property and demolish the mansion. 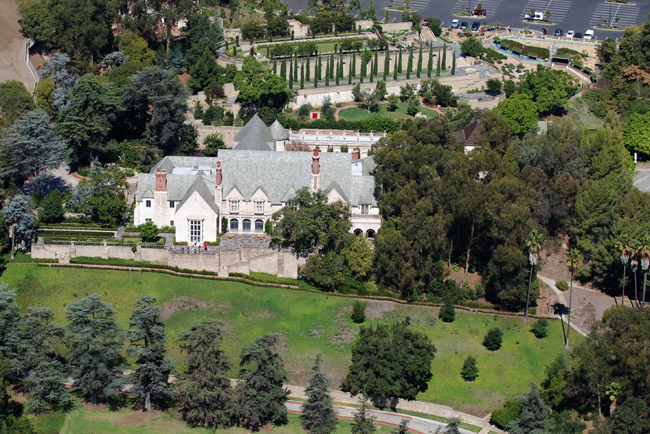 Beverly Hills stopped the demolition by purchasing the mansion in 1965. 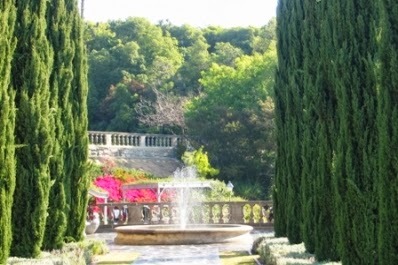 The estate became a city park on September 16, 1971. They were setting up for a fancy event, so we were limited in where we could go, but we still had a great time wandering around. The grounds are gorgeous and I told Steve we should come back without the kids and go on the building tour. Hailey was excited to see some of these ginormous fish jump out of the water. You can see the ocean from up here. Next were off to the Lombardi Ranch to visit the pumpkin patch and festivities. An hour drive later we showed up only to be told they officially open tomorrow?? What!? They did tell us we could go shop the produce stands.... ok, we will take what we can get. No llama or train rides... maybe next year. I don't have any money, never mind that. What shall I buy?? It is a good thing these pumpkins were too heavy for Hailey to throw in the cart. Doesn't looks like much, but it weights 8 1/2 pounds! We also snagged a giant basket of peppers. This is how you go sledding in So Cal without the snow. Learning how to slide on cardboard from the master. She wanted to go again. . . .
and again. . . . . While we were at Steve's parents house we found Steve's old telescope that he received for Christmas many years ago.... and we brought it home. So glad his parents saved that! We counted 23 peppers... quite a steal for a measly $4. It did take me a while to chop them all up before I threw them in the freezer. Here are the gourds, mini pumpkins & indian corn the kids picked out at Lombardi Ranch. Being outside wore him out! We spent the day with Nana and Papa at Hurricane Harbor Water Park. 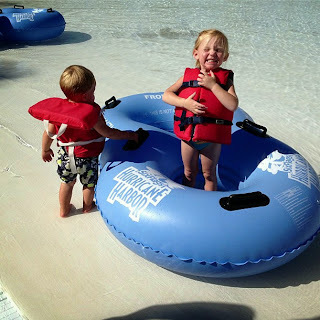 It was plenty hot and the kids had a great time. We didn't want to take Steve's fancy camera into a water park so Nana was kind enough to send us this picture off her phone. Steve has been building little towers before he leaves for work for the kids to knock over when they wake up. He discovered the talking Elmo potty book. We use this palm tree to check the weather...looks a little windy...for dinner we are making chipotle lime chicken tortilla soup.